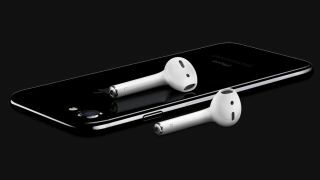 If you've bought yourself a shiny new iPhone 7 this weekend then you might want to take a moment to get your ear close to the handset and make sure it's not making any untoward hissing sounds. A couple of people have reported the issue on Twitter and been offered replacement devices by Apple, so it looks like this could be a minor manufacturing defect affecting a small number of iPhones rather than a large scale problem that's going to bring Apple to its knees. Still, it takes a little of the shine off the iPhone 7 launch weekend. Yesterday we found out that the motionless home button in the new phones doesn't work well with gloves. If you watch the video posted by Relay FM founder and 512 Pixels writer Stephen Hackett you'll see the noise is quiet but definitely noticeable. The fact that it gets worse when the phone's working hard suggests the CPU is at fault. "I've heard from several other people with similar experiences, but others are saying past iOS devices have displayed this issue," writes Hackett. "I've handled more than most, and haven't come across this." Across the rest of Twitter most people seem to be reporting the news rather than making any fresh claims of hissing sounds, but you might want to check your own iPhone 7, just in case.